Welcome to Infinity Institute International, Inc. A State Licensed School of Hypnosis. Home of Infinity Institute International, Inc.
Anne H. Spencer, PhD since 1980.Infinity Institute has the largest collection of information and products on hypnosis, hypnotherapy, therapeutic touch and forensic hypnosis available. Current Edition of Subconsciously Speaking. Looking for the International Medical & Dental Hypnotherapy Association? The IMDHA has moved to its own site, www.imdha.com. You can navigate between both sites by clicking the images in the top corner of each page. 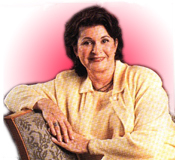 Dr. Anne’s Featured Hypnosis Programs of the month. These recordings have helped thousands keep their New Year’s Resolutions and achieve their goals! To purchase Dr. Anne’s CD’s titled “Confidence Building & Goal Setting for Goal Getting” & one titled “Affirmations for Healing Body, Mind and Spirit” go to the online store. Be sure to go to the on-line store to order the products you’ll need in 2006 for continuing your education in Hypnosis and Holistic Living. There are CD’s, DVD’s, Books, Conference recordings which offer Specialty Certifications and much more… all at our online store.